Motion has, hidden inside it, a very capable particle system, along with a variety of simulators, which allow us to create a cloud of graphic objects and move them in interesting ways. Today’s webinar looks at a topic we haven’t covered before: the intersection of objects, particles and simulators in Motion 5. Motion has, hidden inside it, a very capable particle system, along with a variety of simulators, which allow us to create a cloud of graphic objects and move them in interesting ways. Movement that can’t be done using standard keyframes. 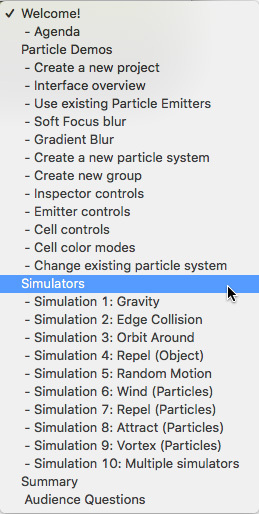 Simulators allow objects to orbit around, be repelled by, or attracted to other objects. 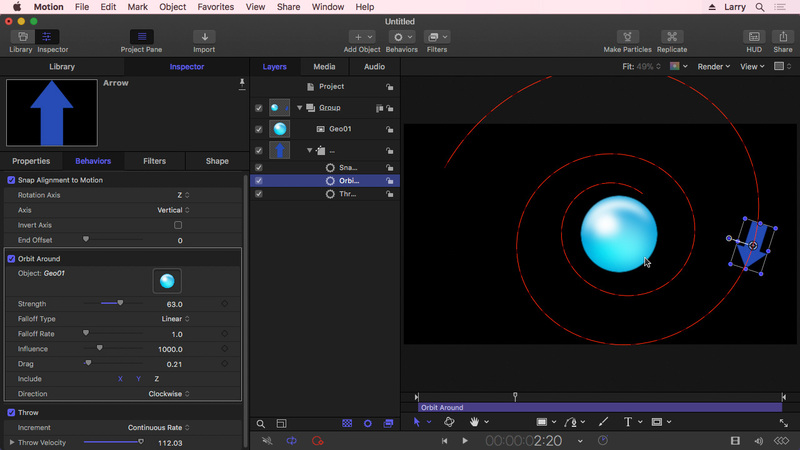 This allows us to add life and direction to an otherwise generic floating cloud of particles. Today’s webinar looks at a topic we haven’t covered before: the intersection of objects, particles and simulators in Motion 5. This session will expand your thinking of Motion and provide opportunities for new visual effects that are useful in commercials, infographics and education. Plus, these tools are just plain fun to play with. This is an advanced-level session. While no knowledge of Motion is required, some knowledge of how Motion works will be helpful. This is delivered as a QuickTime movie, you don’t need to own Motion to watch this training.